Following our series of posts about our beading wonders, including the Fancy Stringing Rings last week, today I’m going to showcase a bit about our Brilliant Beads! 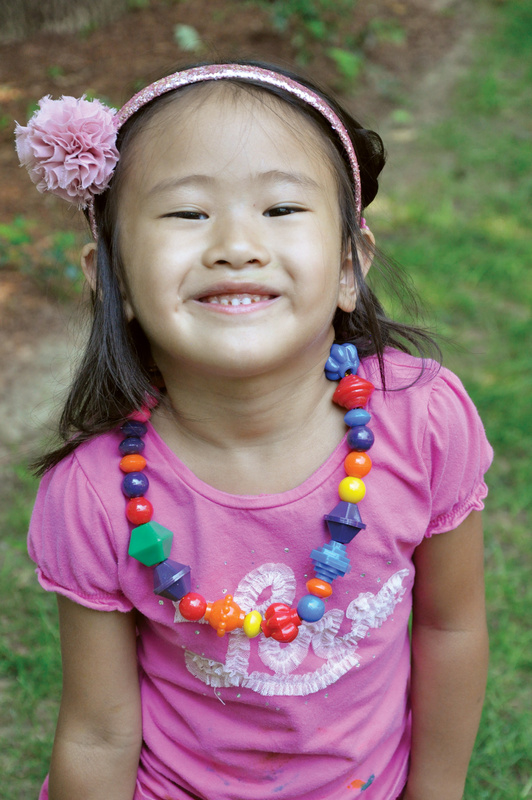 R2170 Brilliant Beads come in a bright assortment of colors and shapes. Besides basic small round beads, there are some that resemble flowers while others look like geometric shapes. You can talk about each of the shapes to your students as they sift through them. You can also sort by color. Pick out similar colors and observe the different shapes that make up that color group. Get students to describe the beads with practice vocabulary. 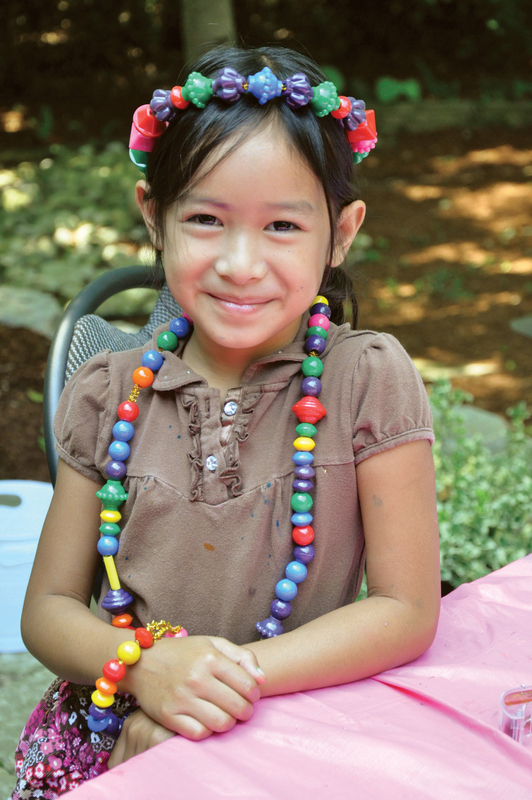 At the Art Camp last year, our campers designed their own super-long necklaces and brilliant bracelets. 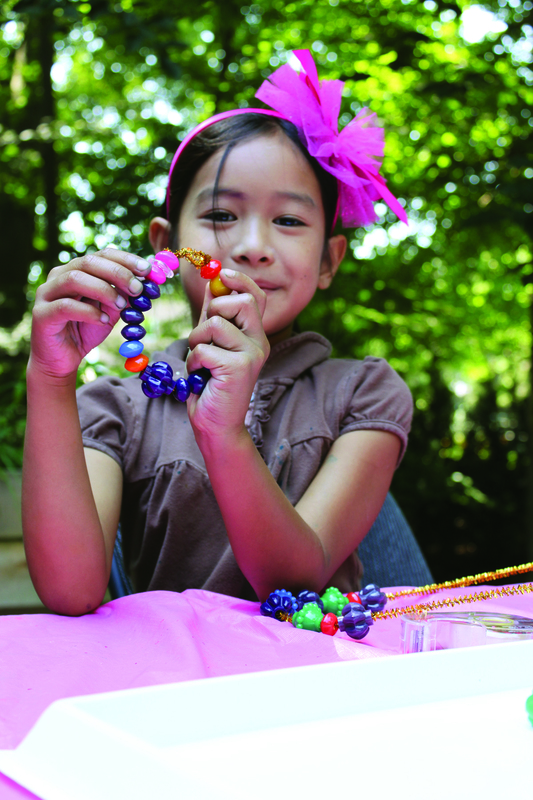 To prevent groups of beads sticking together, we got the campers to use pipe cleaner as the thread for all the beads. Here’s another shot of some lovely jewelry! 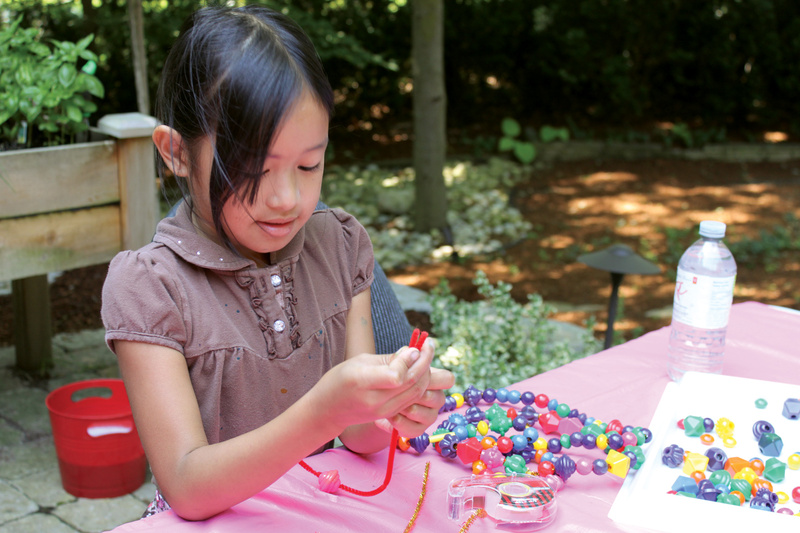 Use Brilliant Beads in a variety of projects, not just for jewelry! Check out the video below that shows you how to make your very own bead-paintbrush. This “paintbrush” will add a provide your students with a new technique for painting! Thanks for viewing this post! Like us on Facebook and subscribe today to our blog for more updates like this every Monday, Wednesday and Friday! This entry was posted in Crafts, old and tagged activities, art, beading, beads, brilliant beads, crafts, jewellery, jewelry, kids, summer by roylcoblog. Bookmark the permalink.